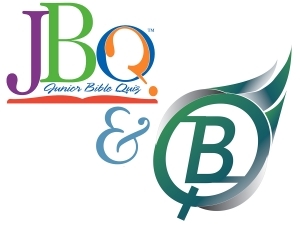 Junior Bible Quiz (JBQ) was created and designed to help children develop a love for the Bible and an understanding that its truth can guide their lives daily. Junior Bible Quiz offers a fun, exciting way to motivate children to understand the all-important truths in God’s Word. Through cooperative learning, children work together on teams to learn and understand the questions and answers from the Bible Fact-Pak. Then using cooperative competition the children meet with other teams for a fun quiz match. There are twenty questions in a match, with two teams of quizzers trying to beat each other to the buzzers to get the first shot at the answers. It has been said that JBQ is the fastest growing discipleship program in children’s ministry. Teen Bible Quiz is a discipleship ministry geared for teens in 6th through 12th grade. Each year a different book or books of the New Testament are memorized by students. Several times during the year students attend meets within their district in order to test their ability to memorize and understand God’s Word. District and Regional meets take place in the Spring of each year with the top teams advancing to Nationals. Each year thousands of dollars in scholarships are awarded to students for their hard work.